Posted by tanzaniageologists in Geology. How do they form? Read this short description below! During the cooling of a thick lava flow, contractional joints or fractures form. If a flow cools relatively rapidly, significant contraction forces build up. 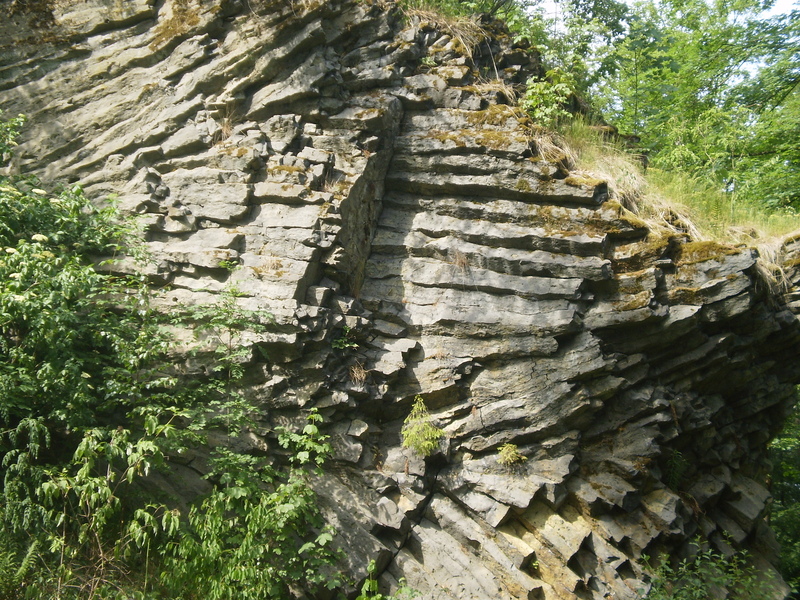 While a flow can shrink in the vertical dimension without fracturing, it cannot easily accommodate shrinking in the horizontal direction unless cracks form; the extensive fracture network that develops results in the formation of columns. The topology of the lateral shapes of these columns can broadly be classed as a random cellular network. These structures are often erroneously described as being predominantly hexagonal. In reality, the mean number of sides of all the columns in such a structure is indeed six (by geometrical definition), but polygons with three to twelve or more sides can be observed. Note that the size of the columns depends loosely on the rate of cooling; very rapid cooling may result in very small (<1 cm diameter) columns, while slow cooling is more likely to produce large columns.